Day 01: Arrival in Kathmandu International Airport and meet with our airport representative at the airport and transfer to Hotel by private tourist bus. Welcome drink and short briefing session for tour in Nepal, refreshment and relax. Stay overnight at Hotel Malla/Hotel Hyatt Regency/ Hotel Yak & Yeti. The largest stupa in Nepal and revered by both Tibetan and Newar Buddhist. The Tibetans believe that the stupa contains the bone relics of the past Buddha Kashyapa. The colossal and ancient stupa of Bouddhanath is 36 meter high. At the ground level there is a brick wall with 147 niches and 108 images of the meditational Buddha inset behind copper prayer wheels. Early morning and evening are the times to visit Bouddha to join the local residents in Khora (walking the pilgrim’s circuit, sometimes with Tibetan pilgrims on their hands and knees). 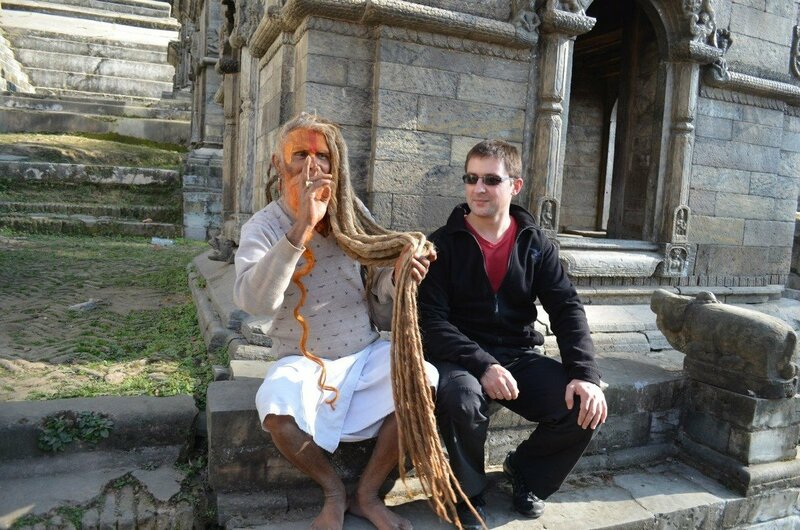 Pashupatinath is one of the most sacred temples in the entire Hindu world. It is a sacred place where Hindus come (to die and) to be cremated. The temple of Pashupatinath is a large double roofed, gilt pagoda, decorated with brass; the gateway is plated with silver. There are images of Shiva along with other statues, shrines and temples dedicated to other deities in the complex. A circuit of the Pashupati area takes visitors past a sixth-century statue of the Buddha, an eight-century statue of Brahma the creator and numerous other temples. There are rows of Shiva shrines and Hindu pilgrims from all over south Asia offering ceremonies to worship Shiva, the Lord of Destruction. Entrance to the temple precinct is permitted to the Hindus only. 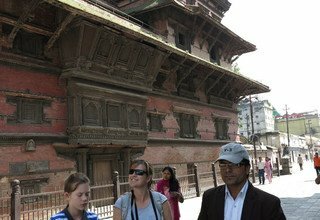 However visitors can clearly see the temple and the activities performed in the temple premises from the eastern bank of the Bagmati River. Swayambhunath is one of the most glorious Buddhist stupa. It is said to be 2000 years old. Painted on the four sides of the spire’s base, are the ‘all seeing eyes’ of Lord Buddha, keeping an eternal watch on the valley distinguishing between vice and virtue. Swayambhunath is, perhaps, the best place to observe the religious harmony in Nepal. The stupa is among the most ancient in this part of the world and its worshippers are many diverse people like Newar nuns, Tibetan monks, Brahaman Priests and lay Buddhist and Hindus. Swayambhu is a major landmark of the valley and looks like a beacon below the Nagarjun hill. It provides an excellent view of the Kathmandu valley. Stay overnight at Hotel Malla/Hotel Hyatt Regency/ Hotel Yak & Yeti. Day 03: Morning drive from Kathmandu to The Last Resort, It will take 3-4 hours to reach the bungy jumping site from Kathmandu and they put you on the schedule which means you will have your lunch either before Bungy Jumping or after. 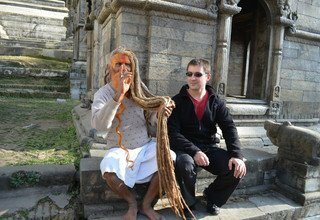 Then drive back to Kathmandu after complete your thrilling adventure and transfer to your own hotel. At 160m high it is Nepal’s ultimate rush and one of the longest free-falls in the world. On the day of your jump the jump master will first give you a briefing. He then writes your weight on your hand and tells you in which group you will be jumping. If you have any medical problems, please discuss them with the jump master. We advise you to wear closed shoes for the bungy. Make sure your pockets are empty and please be notified that cameras and bags are not allowed on the bridge. Stay overnight at Hotel Malla/Hotel Hyatt Regency/ Hotel Yak & Yeti. Day 04: Morning fly from Kathmandu to Pokhara and transfer to Hotel. Pokhara is blessed with stunning panoramic views of the Annapurna range which forms its backdrop. The mesmerizing Machhapuchhre also called Mt. Fishtail dominates the scenery because of its proximity to the valley and can be seen from anywhere in Pokhara. Stretching from east to west, the Annapurna massif includes Annapurna 1 to IV and Annapurna South. Further away are seen the giants, Dhaulagiri (8,167m) and Manaslu (8,163m). Pokhara owes its popularity to the enchanting Phewa Lake, and along its eastern shore has grown the Lakeside or Baidam, a thriving resort town of hotels, restaurants, bars and souvenir shops that allow travelers to relax and enjoy. Phewa Lake is the largest and most beautiful of the three lakes, attracting a large number of visitors who enjoy boating on its placid waters. Boats can be hired, and many visit the island temple of Barahi in the middle of the lake. Located in the middle of Phewa Lake, Barahi Temple is one the most important monuments in Pokhara. The two-storied pagoda is dedicated to the boar manifestation of Ajima who represents the female force, Shakti. Sacrifices take place here, and the largest crowds of devotees are seen on Saturdays. An amazing aspect of Pokhara is the vanishing river, Seti, which goes underground and disappears in many places along its route through the city. At various points Seti is barely 2 m wide but its depth reaches an astonishing 20 m! A good spot for watching the river is Mahendra Pul at Bhimsen Chowk, a bridge near the old Mission Hospital. Here the river can be seen in all its ferocity gushing down the deep gorge that it has carved over millennia. Locally known as the Patale Chhango (Nether Fall), Devi’s Fall is a fascinating waterfall located about 2 km south-west of Pokhara Airport on the Siddhartha Highway. The World Peace Pagoda can be seen on top of a hill on the southern fringe of Phewa Lake. It has four images of the Buddha facing the four directions. The dome-shaped pagoda is an impressive sight, and its hilltop location commands a great view. It is a great vantage point which offers spectacular views of the Annapurna. Stay overnight at Temple Tree Resort or Shangri-La Village Resort. Day 05: Our tour guide and bus driver brings you in Sarangkot Hill for panoramic views of Annapurna Massif, Dhaulagiri Range, and dramatic Fish Tail Mountain, Manaslu and other snowy peaks and preparation for Paragliding. Paragliding is a relatively new adventure sport in Nepal, and is the simplest, safest and least expensive way of discovering the joys of flying alone to experience the aerial views of the magnificent Himalayas. Sarangkot, at 1,592 m above Lakeside in Pokhara Valley, is the jumping off point for paragliders. From here, one can take in stunning views of three of the world’s Eight Thousanders, namely, Dhaulagiri, Annapurna and Manaslu. Tandem flying involves a passenger flying with a pilot. Both have separate harnesses that are attached to each other and the wing. Paragliding harnesses are built for comfort and safety; they feel more like an armchair. After take-off the passengers just sits back, relax and enjoys the unfolding magnificent sceneries. Because Para gliders can foot launch and gently foot land again and are very portable we can take them anywhere and fly from most mountains in Nepal. 1. Cloud-Buster, this is midday flight gives you the thrill of a high flight as we thermal up above Sarangkot in the company of eagles and vultures. It's a 30 minute flight and we land by the lake. 2. Cross-Country, this is one hour flight offers you the chance to experience flying from one valley to another. Using thermals, clouds and birds to guide us, we take you on an unforgettable journey north of Pokhara towards the Annapurna mountain range. Based on the weather conditions we fly as far as we can and aim to return to Pokhara same afternoon. A fly reach altitude of between 2500m to 3400m before returning Pokhara by air. Stay overnight at Temple Tree Resort or Shangri-La Village Resort. Day 06: Morning drive from Pokhara to Chitwan by tourist bus pick up from Arrival Point. * Reception, welcome drinks and introduction to your room. * Freshen up and briefing session. * Stay overnight at Hotel Parkland and Hotel Westwood. * Canoeing Ride and Elephant Breeding Centre Visit. Drive from Chitwan to Kurintar at Riverside Spring Resort and drop all the luggage. Today afternoon rafting trip in Trisuli River, drive to Charaudi rafting starting point. This trip hitting a few class 2 or 3 rapids called "LADISE DELIGHT" and stop for the lunch. After lunch white water hit a class 2 to 3 rapid called "UPSET" and "SURPRISE". After the rafting trip then drive to Riverside Spring Resort. Day 09: Drive from Kurintar to Kathmandu by tourist bus which takes 3-4 hours and transfer to Hotel. 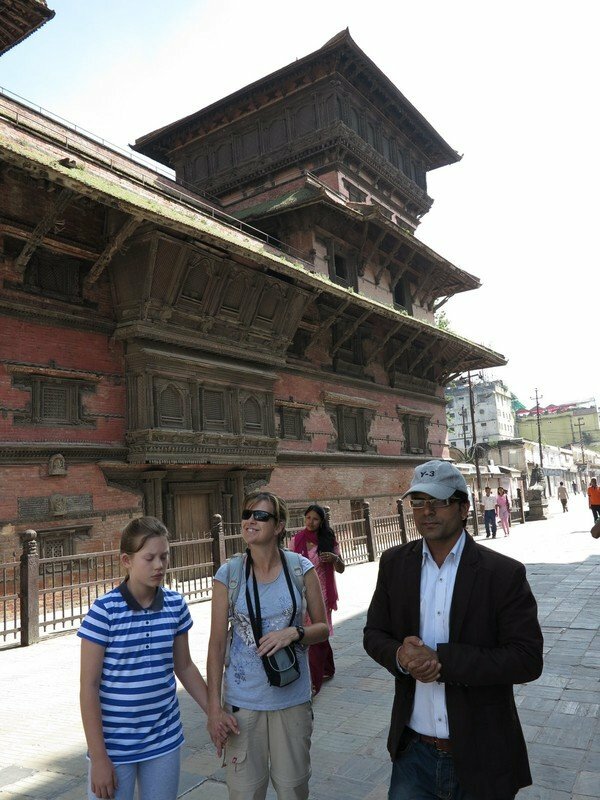 Today you will have half day shopping in Kathmandu and relaxing in Hotel. Stay overnight at Hotel Malla/Hotel Hyatt Regency/ Hotel Yak & Yeti. Day 10: Final Departure to Kathmandu International Airport as per your flight schedule. * 7 nights accommodation in twin bed sharing basis with breakfast at 5 star hotel in Kathmandu, Pokhara and Kurintar. * Sightseeing tour as per above mentioned itinerary and all entry fees. * Domestic flight tickets and airport tax. * 1 experienced, helpful and friendly tour guide and his food & accommodation, salary, equipments & insurance. * All ground transportation by private vehicle and tourist bus. * Bungy jumping and lunch, both way transportation. * Chitwan Tour on full board basis. * Any meals (Lunch and Dinner) in Kathmandu, Pokhara and Kurintar other than breakfast.